Sadly, couples usually spend more time planning for their wedding day than for their whole life together. At St. Isidore, we offer the opportunity for engaged couples to spend a Saturday getting equipped to help their marriage last a lifetime. Started almost three decades ago, St. Isidore wanted to provide an alternative for busy schedules as an alternative to attending the entire weekend long Diocesan Workshop. 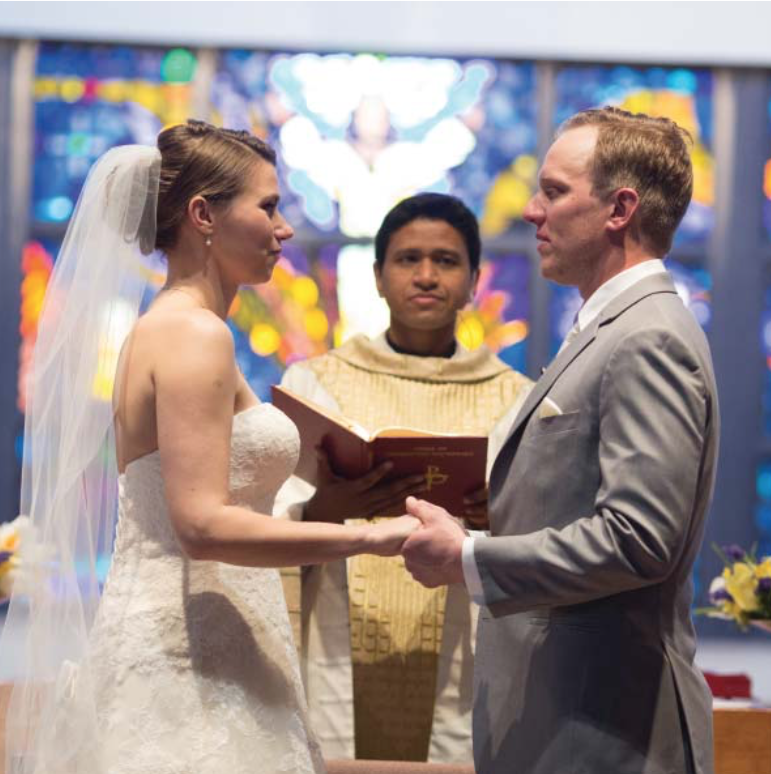 Becoming One is now offered four times a year for couples needing to fulfill this requirement for marriage in the Catholic Church. Further, recognizing we are now in a time of living together before marriage as well as destination weddings, we highly recommend attendance on this one day. The future husband and wife will receive tools that will help them be as prepared as they can be to stay committed to a healthy marital relationship. 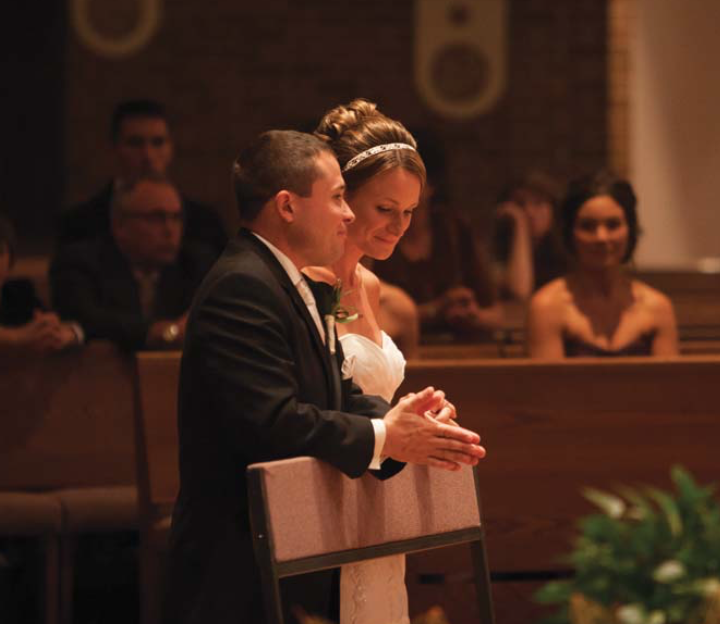 Any engaged couple is invited, whether getting married in the Church or not, Catholic or not. The purpose is not to judge or convert, but to share experiences and offer practical tools while addressing the topics of communication, decision making, problem solving, intimacy and spirituality. it out but HOW. The engaged can hear how other married couples handle holiday situations, jobs and careers, children, friends, money, in-laws, household responsibilities and faith sharing. The idea is to show possibilities and let each couple decide what will work for them. With the advances in technology, we are now able to benefit from the wisdom of those couples who have presented over the years. We are thankful for the groundwork laid by and the wisdom from Fr. Jim (as an associate pastor here in the 1980s), Michael & Ann Hatt, Frank & Sharon Zappa, Rick & Diane Limanowski and Jack & Bonnie Sassmann. Deacon Larry & Sharon Migliorato and Ed & Jackie Hauser currently benefit from the efforts of Tom & Vicki Dau, Jason & Maggie Beatty and Kevin & Lisa Bialas.